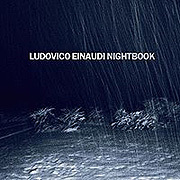 The inhabitants of Nightbook (69'47"), the wonderful CD by pianist Ludovico Einaudi, are smart and inventive. A wealth of vibrant studies, the 12 poems of place and atmosphere reveal unexpected depths. Broadening the realms of new age, classical and jazz these works are rooted not in fantasy or dreams but in observation tempered by memory. The tracks are divided between Einaudi's delicate solo piano compositions and arrangements for piano and chamber ensemble - and occasionally are augmented by vaporous atmospherics and tasteful percussion (reminiscent of Whitetree, Einaudi's side project). The wistful minor key signatures of the Ambient influenced pieces slow the heart before breaking it while the complex pleasures of his unabashedly gorgeous songs harbor a doleful undertone. 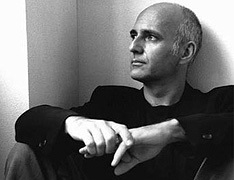 Einaudi's music benefits not just from bending and blending styles but also from a higher standard of playing. From piecing understatement to exuberant crescendo Nightbook exhibits his continuing growth as a composer. An album of great spirit and considerable charm there is more than enough magic in this music to enchant the audience. These delicate, elegant works are a reminder to the digital age of what is lost when the art of playing by hand is sacrificed to the programs of machinery.